Great, Great, Grand- daughter of Richard Ansdell. To learn more about Richard, read his biography, or to contact me, please click on the appropriate link above. 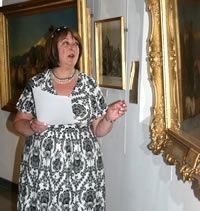 A set of four high quality postcards have been printed to help raise funds for the conservation of the important Victorian art collection at Lytham St. Annes. 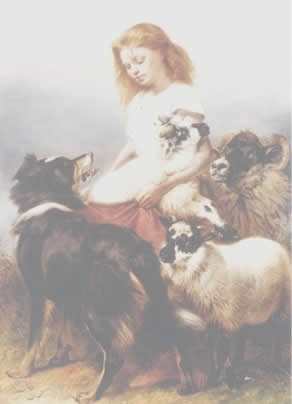 The featured background image is "The Herd Lassie" Exhibited at the Royal Academy 1874 and now in the collection of Fylde Borough Council, Lytham St. Annes Lancashire. who did so much to perpetuate the artistic legacy he inherited"